Have your MileagePlus number ready at checkout. Cannot be combined with other offers. Have your AAdvantage® number ready at checkout. Cannot be combined with other offers. Everything you need to secure your home. (6 pieces) Have a single-entry home, apartment, or just want to start small? The Starter is a great fit. And you can always add more sensors later. All Accessories are included: Yard sign, security decals, batteries, adhesive strips for easy mounting, and optional screws for screw-in mounting. 60 Day, Complete Money Back Guarantee: If you don’t completely love your SimpliSafe system, return it for a FULL refund within 60 days—we pay shipping both ways. 3 Year Full Warranty: Even after 60 days, we are still 100% committed to helping you. If you ever have a problem, we do whatever it takes to fix it—including sending you new equipment for FREE. No Annual Contracts: if you choose our optional 24/7 monitoring, you are never locked in. Start, stop, pause or change plans at any time. Standard: Monitoring specialists guard your home around-the-clock from our award-winning monitoring centers. In an emergency, we send the police to your home. Free cellular connection built-in. Interactive: Standard + advanced mobile app control of your system from anywhere in the world. Get text + email alerts, monitor home activity, arm/disarm your system, control settings right on your smartphone or laptop. Bonus: Secret! 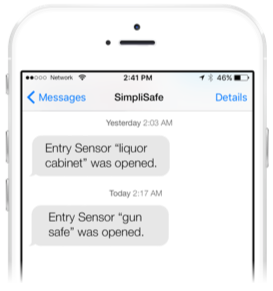 Alerts—get secretly notified when anyone accesses private rooms, drawers, safes and more. 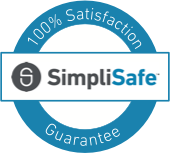 SimpliSafe 100% Satisfaction Guarantee. Try it in your home! Try this system out in your home. After you’ve received your system, we’ll call you to see if you need to return, exchange, or add any sensors – we’ll even provide free shipping back and forth. If you aren’t 100% satisfied with your alarm, call us within 60 days for a FULL refund with free return shipping. 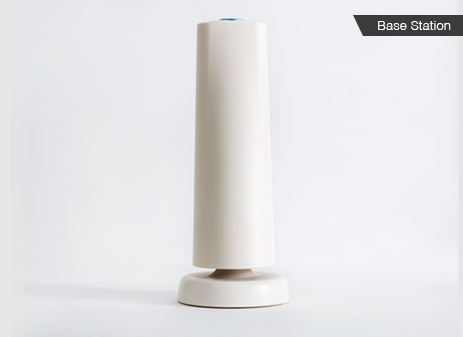 This is the beta release of the SimpliSafe security camera. That means that it has most features, but there are still more to come. As new features become available, your camera will automatically update to receive them. You don’t have to do a thing. Here’s what to expect. Need Extra Sensors? Add them here. We recommend you purchase an Entry Sensor for your front and back doors and any windows you want to protect on the FIRST floor of your home. Its field of vision detects motion within 30 feet and spreads a 90° blanket of protection across a room. It's engineered not to detect pets under 50lbs. Keep watch over your home 24/7. See what’s happening at home anytime from your phone or laptop. 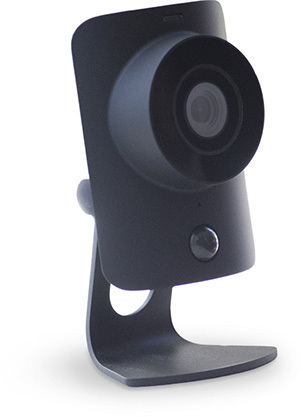 Get alerts whenever your camera detects motion. 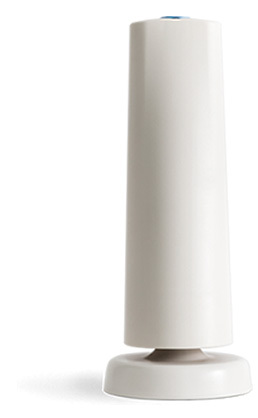 Adds an extra layer of security by detecting the sound of shattering glass—from 30 feet away! 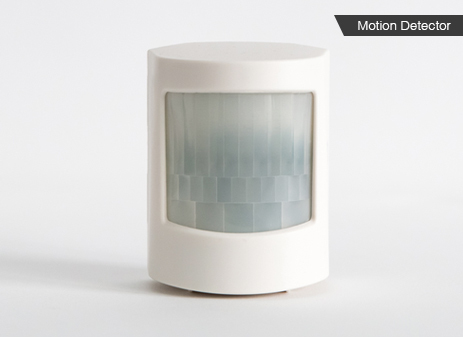 Use in combination with a motion detector in rooms with many windows or sliding glass door. Triggers when a fire is still smoldering, before it blocks exits and does large-scale damage. Loud system-wide sirens jolt everyone awake and out of the house. Detects poisonous CO long before it endangers your family. 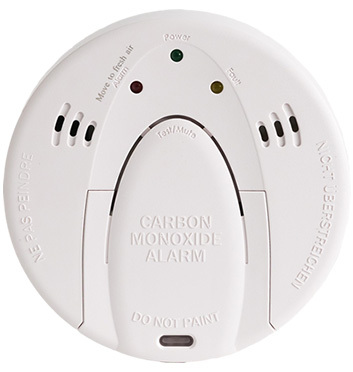 Experts recommend CO detectors be placed outside sleeping areas and on every floor of your home. If you're at home during an intrusion, press this to instantly trigger your alarm—we'll send the police to the rescue. Makes arming and disarming your security system as easy as locking your car. 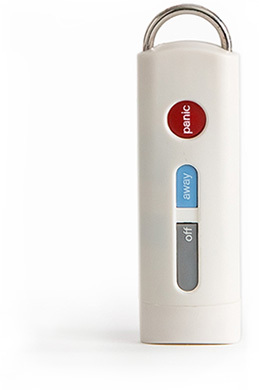 It also has a panic button to instantly trigger your alarm. At 4X louder than your Base Station's built-in siren, this Extra Siren will scare the pants off any burglar—he'll think a freight train just landed in your living room. Arm/disarm your system using up to 5 PIN codes. Place it by your door and it'll beep to trick burglars, while your Base Station secretly sends the alarm signal. Will trigger an alarm whenever your home temperature falls below 41°F, giving you early warning of potential bursting pipes. Undetected floods and leaks can lead to nasty mold infestations, ruined carpets, warped wood floors, damaged cabinetry and more. Homes without burglar alarms are 3 times more likely to be robbed. Your yard sign tells burglars to avoid your home and move on to easier prey. refund. No commitments. No hard feelings. No questions asked. In an emergency, every second counts. Learn more about our instant intrusion response. Free and Easy to Install—in under an hour! Monitoring gets you discounts of up to 20% on your home insurance. Trusted by all major insurance companies. Customers stay with us because of our exceptional security and legendary customer support, not because of contracts. Some alarms have huge commitments of over $1,000. Ours Don't. Pack up your SimpliSafe and re-install it at your next home. And it grows with you: you can always add more sensors. 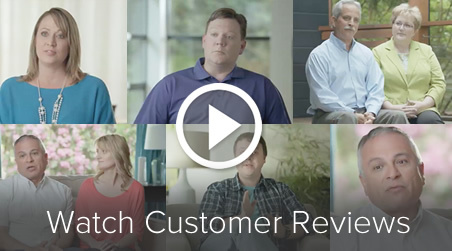 See why actual customers love their SimpliSafe security system. Watch this 2 minute video! Many alarm companies have absolutely huge sneaky hidden fees. They advertise their alarms as being “from $99”, then they get you to sign a contract for over $1,000—and you can’t leave them for at least 3 years. But SimpliSafe alarms have no hidden charges. We’re so confident you’ll love your SimpliSafe alarm that we’ll let you try it RISK-FREE with an incredible no-risk 60-day money back guarantee. 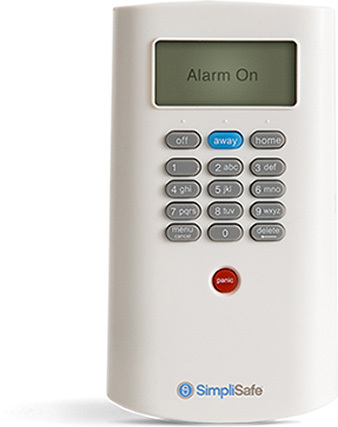 SimpliSafe alarms are reliable, easy to use, have no annual contracts and no hidden costs. We use COPS monitoring–named Best Monitoring 2014 by the Central Station Alarm Association. It's UL Listed, 5 Diamond Certified and FM Approved. 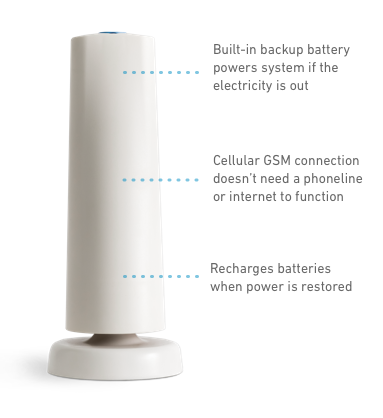 100% Cellular: Faster than a Landline (and can't be cut!). 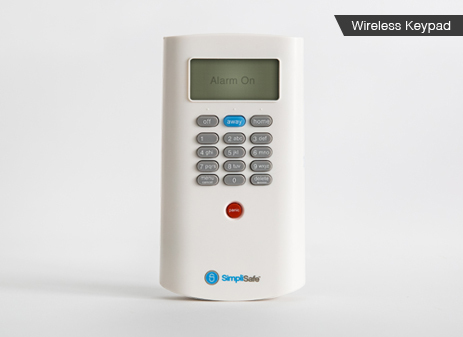 SimpliSafe works even if the keypad is destroyed or if you lose power. We listened to all the things you dislike about traditional burglar alarm companies... then fixed them. that ripping their wires out is hard and expensive. are no holes in your walls. Monitoring is $42.99 a month. Industry by the Central Station Alarm Association. typically locked into a $1,547 contract with no way out. our excellent product quality and helpful customer support. cancel them within 90 days of the end of your three-year term. Forget to cancel? You’re legally trapped—there’s no way out. Growing by word of mouth. See our Facebook fan page. Uses a phone line to connect to the monitoring center. Burglars sometimes cut phone lines. 5-10 seconds faster, and is uncuttable. No phone line required. how we can afford to keep our prices so low. easy installation video to see what he means. Does easy set-up mean the system is flimsy or less secure? you cannot cancel even if you try. completely risk free, with three amazing guarantees. SimpliSafe is recommended by ABC, Fox News, NBC & more! You have a HUGE home: If your home is larger than 20,000 square feet (about the size of a football field)—or if it has more than 50 windows on the first floor—you would probably benefit from a system that can handle a huge number of sensors. Our advice would be to go to a traditional contract security company —and keep in mind the things we’ve warned you about. You run a large commercial property such as a shopping mall—you would probably benefit from a system that has CCTV or security guards, in which case you should probably go to one of the traditional contract security companies—and keep in mind the things we’ve warned you about. However, if you’re one of the 95% of people who don’t run a large commercial property, then SimpliSafe is probably the best choice for you. If you’re in any doubt, contact one of our security consultants at 800-297-1605 for free friendly advice. This Secret to Easy Installation Will Save You Hundreds—See How! SimpliSafe’s wireless sensors are so easy to install, even your kids could do it! Why spend hundreds when installation is this easy? Do it with the kids and save—in under an hour! We have thousands of Facebook Fans. Click here to see how they’re raving about us. 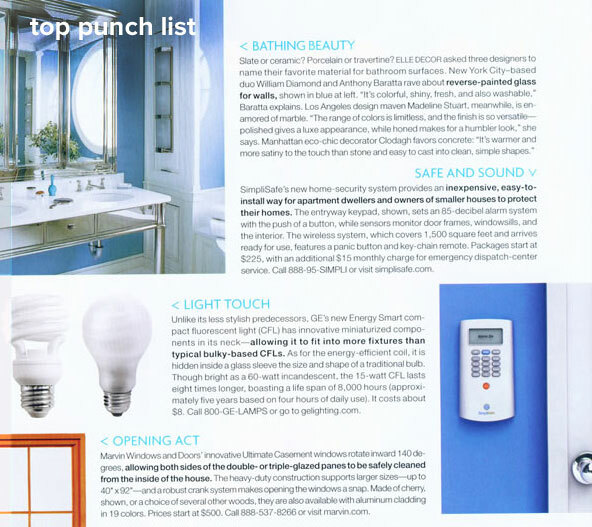 SimpliSafe was featured in Elle Decor’s top punchlist. your system as you approach your front door. Emergency Monitoring Center that you need help fast. 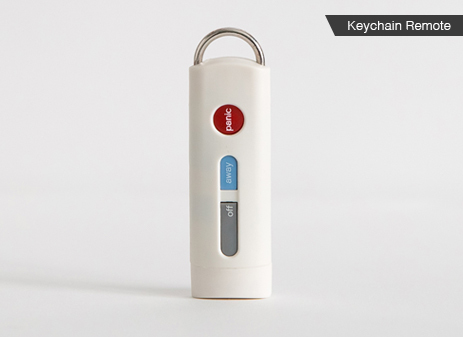 Rotate the key ring for easy loading onto your keychain. highest quality sensors at half the price? No middlemen. so you can customize your settings from any computer. degrees, giving you a full range of coverage when placed in a corner. 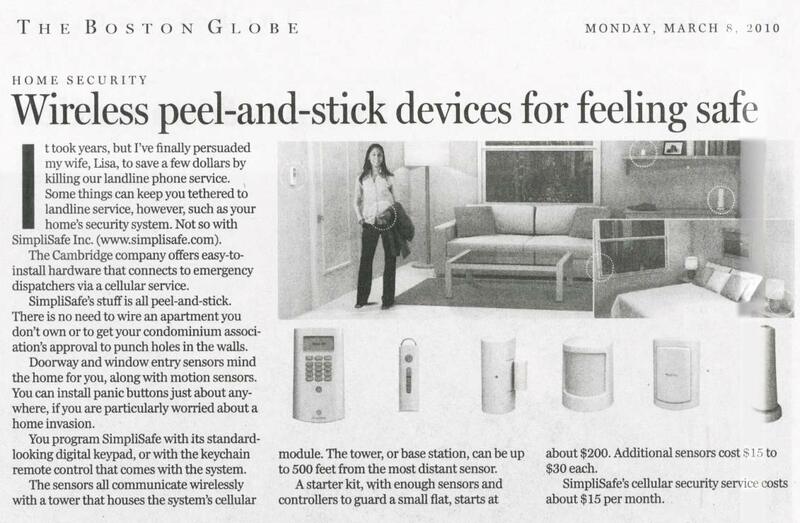 covered with a motion sensor while you’re home). designed the sensor to be less sensitive to motion close to the ground. Our competitor’s model sells for $93.50. Ours is $29.99. How do we sell the highest quality sensors at half the price? No middlemen. alarm is triggered, the Keypad beeps to distract burglars. the Base Station will blast its sirens. keypad is smashed, the alarm continues to function. The Nest Learning Thermostat programs itself, automatically saves energy when you’re away, and can be controlled using your phone. 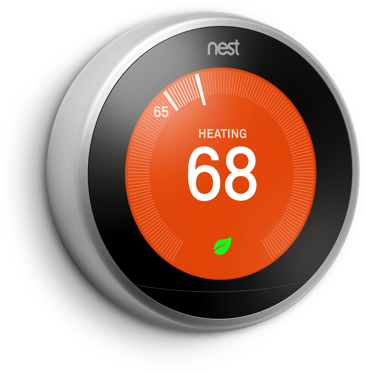 In independent studies, Nest Thermostat saved an average of 10-12% on heating bills and 15% on cooling bills. That means it can pay for itself in under two years. 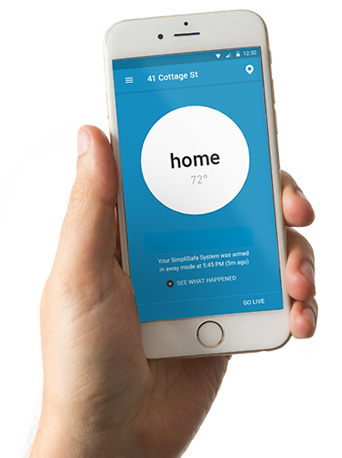 SimpliSafe helps your Nest Thermostat know when you’re home or away. When you arm SimpliSafe to leave home, SimpliSafe tells Nest Thermosat, so Nest Thermostat knows it’s time to lower your energy use. When you come home and disarm SimpliSafe, Nest Thermostat knows you’re back and makes home cozy. Closed: Less than 2 in. and the grooves on the sensor. pre-applied, making installation a snap. sell the highest quality sensors at half the price? No middlemen. the easiest security system in the world to install. text Smart Alerts & Secret Alerts. is restored to your home. burglar - the sheriff’s in town. sensors at half the price? No middlemen. you answer, we’ll alert the police that you’re in danger. you to signal for help without alerting the intruder. get an phone call and SMS/email alert of any water alarms. wood floors, and damaged cabinetry and more. A phone call and SMS/Email in the even of a freeze alarm. the first floor that have multiple windows. and your family more time to get up and out of your home. as well as trigger a full-blown security system alarm. home to ensure you and your family are safe. Carbon Monoxide is a gas that you cannot see, smell or taste. detection of this invisible but deadly gas. 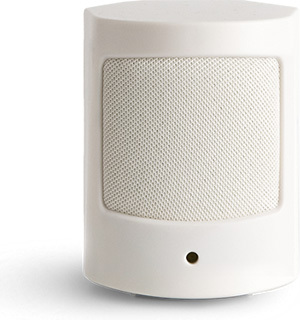 audible alarm and the siren in your SimpliSafe security system. your home to ensure you and your family are safe. phone and to the phones of loved ones. Our competitor’s model sells for $89.99. Ours is $49.99. How do we sell the highest quality sensors at half the price? No middlemen. Most alarm companies charge you $30, $40 and sometimes even $50 every month for inferior monitoring. SimpliSafe protects your home for just $14.99/month, no extra charges. And a cellular connection is built-in free with every system! Most alarm companies charge you $30, $40 and sometimes even $50 every month for inferior monitoring. 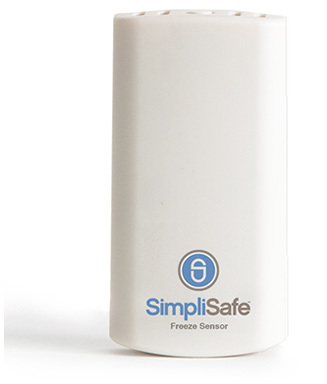 SimpliSafe protects your business for just $14.99/month, no extra charges. And a cellular connection is built-in free with every system! Feel Safe. Save Energy. SimpliSafe Now Works with Nest. SimpliSafe helps the Nest Thermostat learn when you’re home or away to make saving energy even simpler. When you arm SimpliSafe to leave home, SimpliSafe tells Nest Thermostat, so Nest Thermostat knows it’s time to lower your energy use. When you come home and disarm SimpliSafe, Nest Thermostat knows you’re back and makes home cozy. Saving energy just got simpler. Know what’s happening the instant it happens. 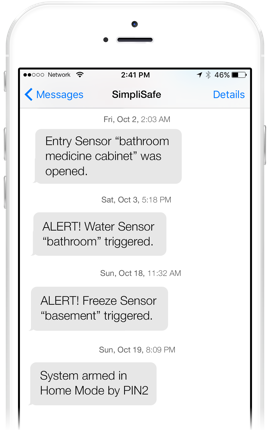 Instant Alerts bring you real-time knowledge of arm/disarm notifications, alarm trigger alerts, Secret! Alerts, power outage notifications...and more! They’re completely customizable—so you can choose which kinds of alerts you want to receive and how you want to get them! Plus—you can make sure customizable alerts reach the people that matter most. 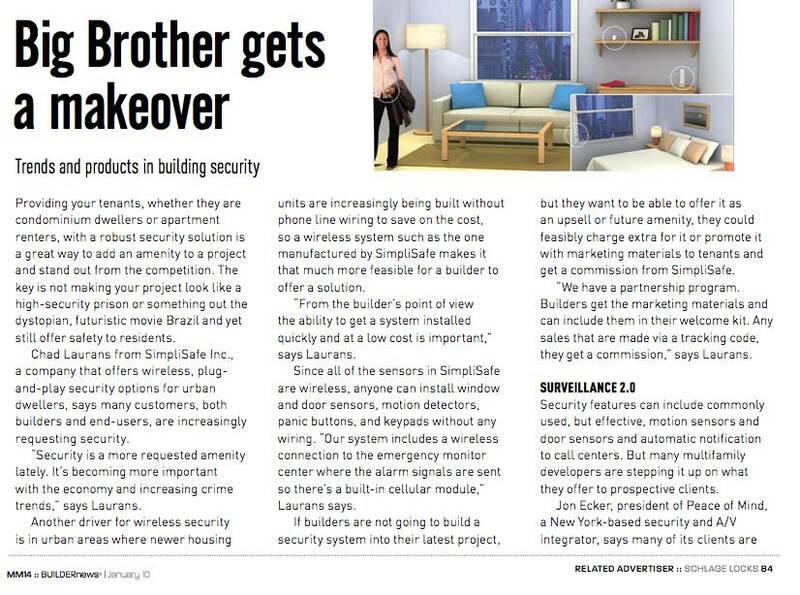 So you can loop your spouse, your kids and more into your home’s security. Discover Who’s Been Sneaking Around Your Home! Family, guests, roommates, kids: our houses are full of people getting into places they don’t always belong. Secret Alerts give you the power to know everything that happens at home—like your own private eye. 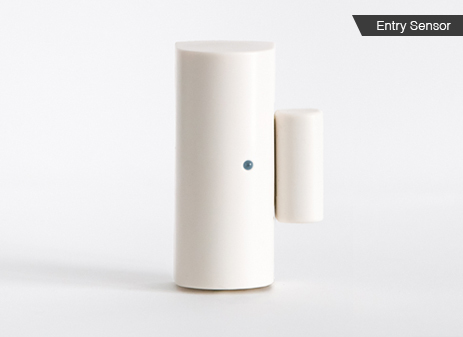 These alert-only sensors tell you when a sensor is activated, without triggering an alarm. So you can secretly keep an eye on your closets, safes, private drawers, liquor cabinets and more! Imagine if someone opened your gun safe without your knowledge or permission. Secret Alerts ensure that you always know the hidden activity in your home. This Incredibly Easy DIY Set-Up Saves You Hundreds! Most alarm companies make set-up complicated so they can force you to pay outrageous installation fees. With SimpliSafe there are NO expensive set-up fees, NO complicated wiring, and NO strangers drilling holes in your walls! Sleek wireless alarms are so easy to install, anyone can do it! And it will look so good that your neighbors will think you spent hundreds! All your sensors arrive pre-programmed, batteries installed & adhesive strips ready-mounted—so you can arm your home against intruders in under an hour. of your keypad, and hid them in your Base Station. SimpliSafe protects your home with COPS Monitoring. It was recently named Best Monitoring in the Industry according to the independent Central Station Alarm Association. Real safety is reinforced. 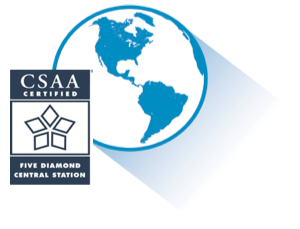 COPS central stations are U.L.-Listed, F.M.-Approved, and Five Diamond Certified—the highest caliber protection available. Its fortified by a nationwide network of fiber optic cables running along multiple signal carriers. You’re protected even during catastrophic natural disasters. That means it’s real security you can count on. This is the most affordable and comprehensive protection possible. 24/7 professional protection is just $14.99—with a free cellular connection built-in! 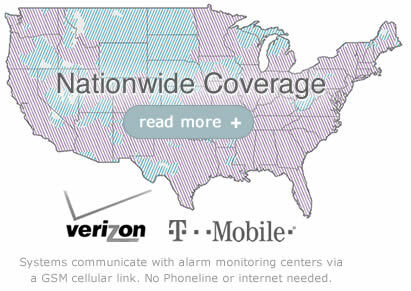 Most alarm companies charge you over $30, $40 or sometimes $50 every month…for the exact same level of monitoring. SimpliSafe is the ONLY alarm company that gives you the freedom to subscribe to our monitoring service for as long as you want and cancel at any time, without any termination fees or hassles. You pay $14.99 per month and that’s it. Since our alarm monitoring and emergency dispatch service is a pay-as-you-go monthly plan, you can suspend and re-activate your service as you see fit. When you’re protected by SimpliSafe’s alarm monitoring, expert monitoring specialists guard your home every second of the day to ensure your safety. And it’s just $14.99/month. 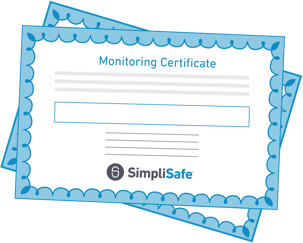 Please note: While SimpliSafe has no annual contracts, all our monitored customers sign a Terms of Service. Never fear a power outage or electricity failure again. 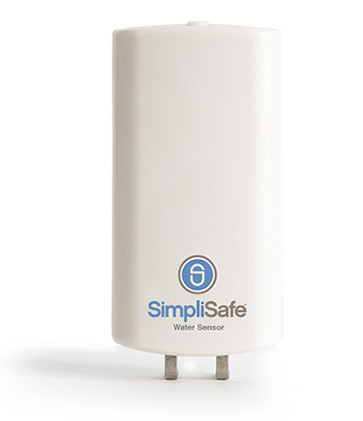 SimpliSafe runs on powerful lithium batteries that last 5 years—so you stay secure when the electricity fails. Plus, the Base Station comes equipped with a built-in rechargeable backup battery, which can power your system for 24 hours and be recharged at any time. Home insurance companies know the value of professional alarm monitoring. That’s why you will save 5% to 20% on your insurance premiums when your protect your home with SimpliSafe monitoring! When a fire is burning in your home every second counts. 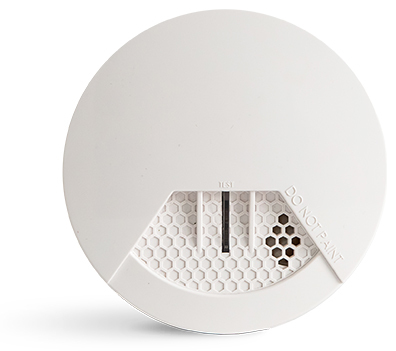 SimpliSafe smoke detectors are built with photoelectric sensors for faster detection of a fire before it breaks into a flame, giving you and your family more time to get up and out of your home. 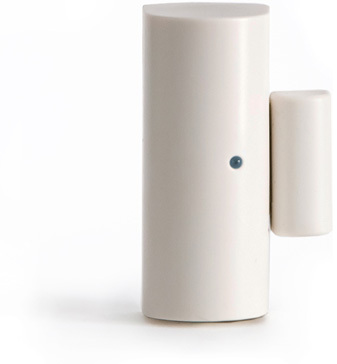 Photoelectric sensors like ours are less likely to trigger annoying false alarms. Never worry about sleeping through a fire alarm. This monitored detector will sound its own internal siren as well as trigger the full security system alarm. SimpliSafe sensors have a huge range of 400 ft., so our system is perfect for homes and businesses of any size (unless you live in the Superdome). Some alarm companies make it almost impossible to personalize your alarm for your home. 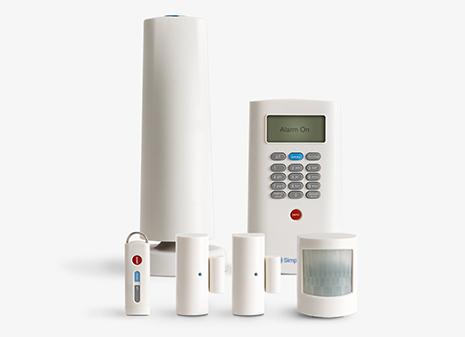 Every SimpliSafe alarm system is 100% customizable to meet your home’s unique needs. Our systems support up to 41 sensors—you can add more at any time via our online security shop or with a quick call to our friendly support team. 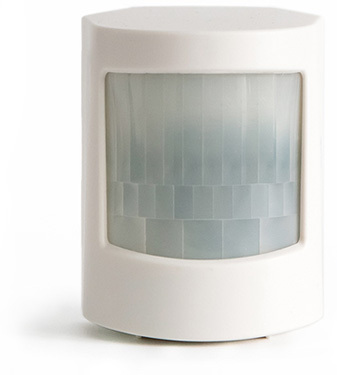 SimpliSafe uses more precise motion sensors to ensure your pets won’t trigger your alarms. Simply place your motion sensors where your pets can’t fiddle with them, and your cats or dogs can comfortably play at home without triggering an alarm. 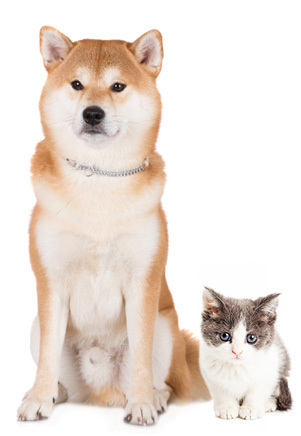 It’s easy to make sure your pets won’t set off your alarm with SimpliSafe’s unique Test Mode. And our security specialists are available for a consultation if you’re having trouble finding the right position! Normally, the Motion Sensor looks straight out and down towards the ground. If your pet is triggering the sensor, just place it about 4-5 feet above ground level, and turn it upside down! This way, your pet can’t trigger it, but an intruder will! 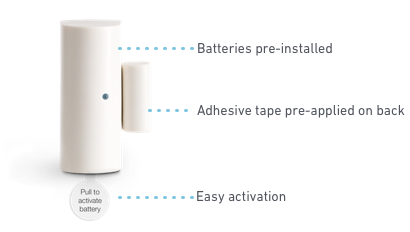 We include extra 3M command strips in every box, making it easy for you to move sensors to a new home. These adhesive strips are super strong, but are also engineered to pull off cleanly without damaging your walls. We protect your home 24 hours a day with a state-of-the-art security system, professional alarm monitoring, and instant police dispatch. Your security system is so effective that actual Wisconsin police uses it to catch criminals. We use COPS monitoring—winner of CSAA’s Best-in-Industry Monitoring. ...and it’s only 14.99/month Compare that to the $50/month most other companies charge. That adds up to savings of over $500 every year. Use the Event Log to check when children arrive home from school - see when the alarm was armed & disarmed by your child's personal PIN. We include extra 3M command strips in every box, making it easy for you to move sensors to a new business. These adhesive strips are super strong, but are also engineered to pull off cleanly without damaging your walls. Some alarm companies make it almost impossible to personalize your alarm. Every SimpliSafe alarm system is 100% customizable to meet your business’s unique needs. Our systems support up to 41 sensors—you can add more at any time via our online security shop or with a quick call to our friendly support team. We protect your business 24 hours a day with a state-of-the-art security system, professional alarm monitoring, and instant police dispatch. Your security system is so effective that actual Wisconsin police uses it to catch criminals. We use COPS monitoring—winner of CSAA’s Best-in-Industry Monitoring. Business insurance companies know the value of professional alarm monitoring. That’s why you will save 5% to 20% on your insurance premiums when your protect your business with SimpliSafe monitoring! When you’re protected by SimpliSafe’s alarm monitoring, expert monitoring specialists guard your business every second of the day to ensure your safety. And it’s just $14.99/month. All your sensors arrive pre-programmed, batteries installed & adhesive strips ready-mounted—so you can arm your business against intruders in under an hour. SimpliSafe protects your business with COPS Monitoring. It was recently named Best Monitoring in the Industry according to the independent Central Station Alarm Association. Discover Who’s Been Sneaking Around Your Business! Secret Alerts give you the power to discreetly watch over your business. They tell you when a sensor is activated, without triggering an alarm. So you can secretly keep an eye on your safes, private files, and more! Wondering if your business was opened on time? Your SMS text alert tells you exactly when your alarm was disarmed and by whom. Monitor the file cabinet full of sensitive financial and HR documents with a secret alert! You’ll get an alert if anyone accesses private areas in your office. They’re completely customizable—so you can choose which kinds of alerts you want to receive and how you want to get them! Plus—you can make sure customizable alerts reach the people that matter most. So you can make sure your employees know what’s going on at your business. Home insurance companies know the value of professional alarm monitoring. That’s why you will save 5% to 20% on your insurance premiums when you protect your properties with SimpliSafe monitoring! Sleek wireless alarms are so easy to install, even an orangutan can do it! All your sensors arrive pre-programmed, batteries installed & adhesive strips ready-mounted—so you can arm your property against intruders in under an hour. Know what’s happening the instant it happens. 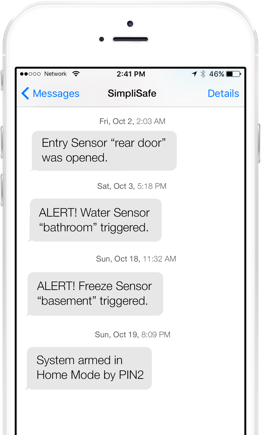 Instant Alerts bring you real-time knowledge of arm/disarm notifications, alarm trigger alerts, power outage notifications...and more! They’re completely customizable—so you can choose which kinds of alerts you want to receive and how you want to get them! Plus—you can make sure customizable alerts reach the people that matter most. So you can loop your colleagues into what’s going on at all your properties. SimpliSafe protects your properties with COPS Monitoring. It was recently named Best Monitoring in the Industry according to the independent Central Station Alarm Association. All SimpliSafe equipment can be moved from property to property without a hassle. Order extra sensors anytime! Most alarm companies charge you $30, $40 and sometimes even $50 every month for inferior monitoring. 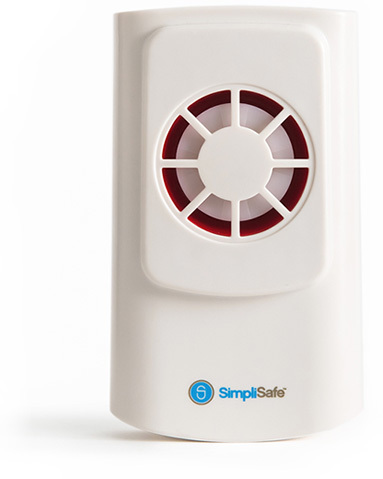 SimpliSafe protects your properties for just $14.99/month, no extra charges. And a cellular connection is built-in free with every system! When you’re protected by SimpliSafe’s alarm monitoring, expert monitoring specialists guard your properties every second of the day to ensure your safety. And it’s just $14.99/month. 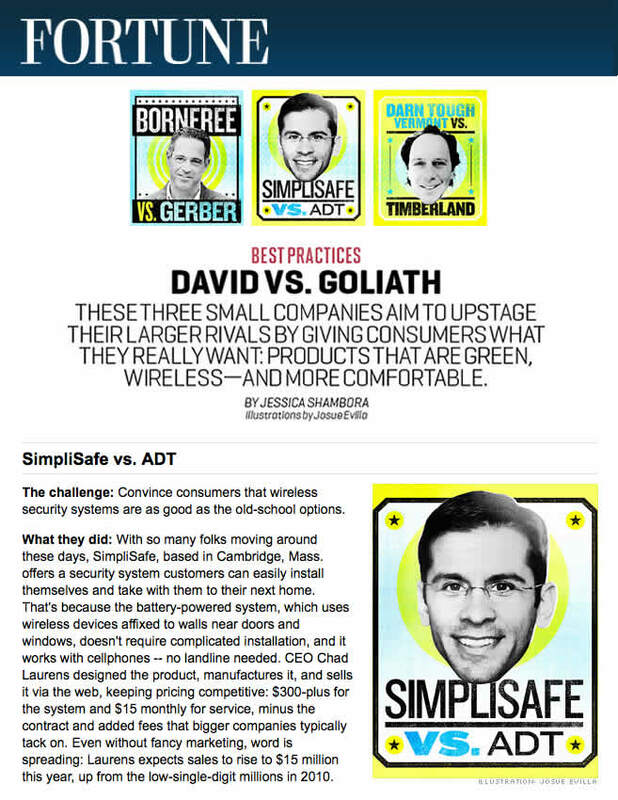 This is an Agreement (the "Agreement") between you ("you" or the "Subscriber") and SimpliSafe, Inc. ("we" or "SimpliSafe"). 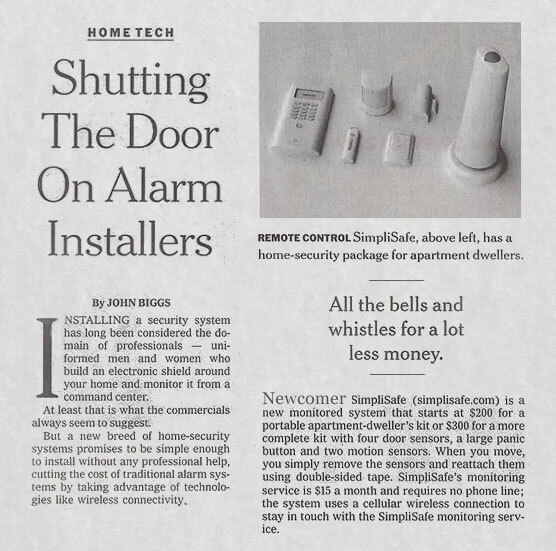 In this Agreement, "System" means the products you have purchased from SimpliSafe; "Services" mean the services you have selected to receive from SimpliSafe, including any Emergency Dispatch Services (as described in Section 23 below), Video-Related Services (as described in Section 21 below), Account Management Services (as described in Section 20 below), the Application, defined as the software or subscription services that may be downloaded to your smartphone, tablet or other connected device (or any related orconnected third-party mobile devices or product peripherals that control or connect to any of the foregoing) to access Services remotely and the customer support Services provided by SimpliSafe in support of any of the foregoing; "Premises" means the premises at which the System is located. The term “you,” as used in this Agreement, means any person or entity who accesses or uses the Services and any person or entity who creates an account and accepts this Agreement and accesses or uses the Services, including any person granted access to the Services by you. 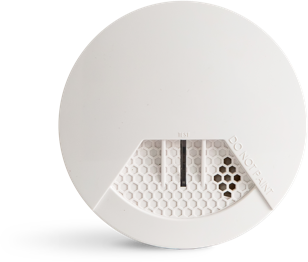 LIFE SAFETY NOTICE: IF YOU PURCHASED A SYSTEM THAT INCLUDES SMOKE DETECTORS OR CARBON MONOXIDE DETECTORS, OR IF YOU ADD SMOKE DETECTORS OR CARBON MONOXIDE DETECTORS AT A LATER TIME, THERE MAY BE SPECIFIC REQUIREMENTS OR STANDARDS FOR THE INSTALLATION, MAINTENANCE AND LOCATION OF SUCH DETECTORS. CONTACT YOUR LOCAL AUTHORITY HAVING JURISDICTION OR CONSULT A QUALIFIED PROFESSIONAL TO ASSIST IN THE INSTALLATION, MAINTENANCE AND LOCATION OF SUCH DETECTORS. YOU HAVE SOLE RESPONSIBILITY FOR COMPLYING WITH ANY AND ALL CODES, LAWS AND STANDARDS THAT MAY APPLY TO THE INSTALLATION, PLACEMENT AND MAINTENANCE OF THE SYSTEM. IN ORDER FOR YOU TO BECOME FAMILIAR WITH THE USE AND OPERATION OF THE SYSTEM, YOU SHALL HAVE A THREE (3) DAY PERIOD FOLLOWING ACTIVATION OF YOUR SYSTEM (THE "PRACTICE MODE PERIOD") TO PRACTICE USING THE SYSTEM. YOU AGREE THAT DURING THE PRACTICE MODE PERIOD WE HAVE NO OBLIGATION TO, AND WILL NOT, NOTIFY ANY AUTHORITIES, YOU, OR ANY EMERGENCY CONTACTS OR TAKE ANY OTHER ACTION WITH REGARD TO ANY ALARM SIGNAL WE RECEIVE, EVEN IF DUE TO AN ACTUAL EMERGENCY EVENT. IF YOU CONTACT US TO ATTEMPT TO SKIP THE PRACTICE MODE PERIOD, YOU ACKNOWLEDGE THAT IT TAKES TIME FOR THE SYSTEM TO BE PLACED ON-LINE WITH THE MONITORING FACILITY, AND NO RESPONSE TO ALARM SIGNALS, INCLUDING ANY ACTUAL EMERGENCY, MAY BE MADE UNTIL YOUR ACCOUNT DISPLAYS AS "ACTIVE" AND NOT "PRACTICE MODE" IN YOUR ONLINE DASHBOARD. 1. Services, Eligibility, and Your Account. (a) SimpliSafe will provide you the Services subject to the terms of this Agreement. (b) Only individuals age 18 and older are permitted to subscribe for the Services and register for an Account. (e) If you contact SimpliSafe’s customer service, you hereby consent to the means by which such contact was initiated. You similarly consent to SimpliSafe contacting you through any of the means that SimpliSafe makes available utilizing the contact information identified in your Account. This may include one-way or two-way video-enabled customer service communication methods, whether made available via your mobile device, through the Application or any other mobile or web interface now existing or later developed. Except as otherwise expressly agreed by you under a separate services agreement, SimpliSafe will not charge you any additional fees to deliver, or for you to receive, such customer support Services; however, your wireless service provider may charge a fee for air-time or data usage associated therewith. Check with your wireless carrier if you have questions about your wireless plan. 2. Term and Termination. The term of this Agreement will continue until this Agreement is terminated pursuant to this section. SimpliSafe or Subscriber may terminate this Agreement for any reason or no reason following notice sent to the other as set forth in this section. 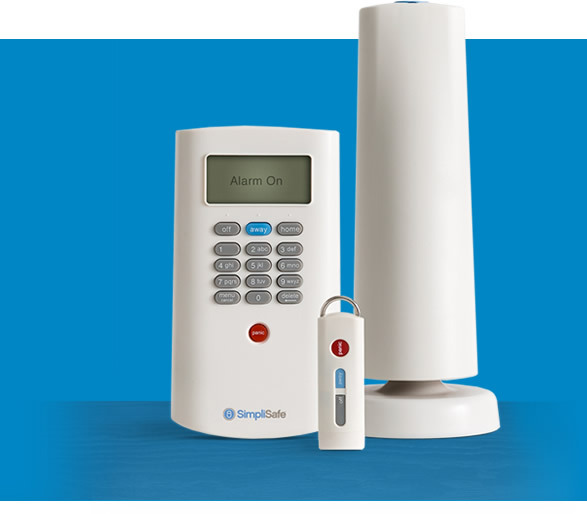 Subscriber shall provide notice of termination to SimpliSafe by (1) regular mail, postage prepaid, or overnight delivery, by a reputable, national overnight delivery service, to SimpliSafe's then current principal place of business or (2) calling SimpliSafe Customer Support at 800-297-1605 and following the instructions provided. Such notice by Subscriber shall be effective upon SimpliSafe's receipt thereof. SimpliSafe shall provide notice of termination to Subscriber by e-mail sent to the email address on file with SimpliSafe for your current online account. SimpliSafe's termination shall be effective when SimpliSafe sends the e-mail notice. If you do not provide SimpliSafe an e-mail address, then SimpliSafe may send you written notice of the termination by regular mail, postage pre-paid and any such notice shall be effective upon four (4) days following the day on which SimpliSafe sent the notice. Upon termination of the Agreement, SimpliSafe shall have no further obligation to Subscriber and Subscriber shall have no further obligation to SimpliSafe other than (i) the obligation respecting the payment of any monies due to SimpliSafe for services rendered; and (ii) the obligations set forth in Sections 3-8, inclusive, 13-19, inclusive, and 24-41, inclusive. Notwithstanding the foregoing, SimpliSafe shall refund any unearned service charges with respect to any full calendar month following any termination. SimpliSafe shall not refund any unearned service charges with respect to any partial calendar month following any termination. There are no termination fees. 3. Payment for Services. Subscriber shall pay SimpliSafe the periodic service charge in advance. You authorize SimpliSafe to charge your credit/debit card for the periodic (e.g., monthly, quarterly or annually) service charge when due. If charges are declined, SimpliSafe shall resubmit the charges for approval and notify you of the declined charges by e-mail while continuing to provide Emergency Dispatch Services for ten (10) days. If the charges are not approved and you do not make payment, SimpliSafe may, in its sole discretion, discontinue services without notice at or after the end of the ten (10) day period. If Subscriber otherwise does not pay any charges when due, SimpliSafe may, in its sole discretion, terminate this Agreement and/or discontinue services without notice. 4. INSURANCE. SIMPLISAFE'S SERVICE CHARGES ARE BASED SOLELY ON THE VALUE OF SERVICES PROVIDED AND ARE NOT INSURANCE PREMIUMS AND ARE NOT RELATED TO THE VALUE OF PROPERTY LOCATED ON OR NEAR THE PREMISES. YOU ACKNOWLEDGE AND AGREE THAT SIMPLISAFE IS NOT AN INSURER AND SHALL NOT PROVIDE INSURANCE COVERAGE AGAINST ANY LOSSES, AS DEFINED BELOW. TO THE EXTENT YOU WISH TO HAVE ANY INSURANCE COVERAGE FOR LOSSES, AS DEFINED BELOW, IT IS YOUR RESPONSIBILITY TO PROCURE AND MAINTAIN SEPARATE INSURANCE POLICIES FROM AN INSURANCE COMPANY OR COMPANIES, SOLELY AT YOUR COST AND EXPENSE, COVERING ALL LOSS, DAMAGE OR EXPENSE (COLLECTIVELY, "LOSSES"), INCLUDING ALL PROPERTY DAMAGE, PERSONAL INJURY (INCLUDING DEATH), ECONOMIC LOSSES OR ANY OTHER FORM OF LOSS, DAMAGE OR EXPENSE, ARISING OUT OF OR IN CONNECTION WITH, DUE TO, OR CAUSED IN WHOLE OR IN PART BY (I) THIS AGREEMENT, INCLUDING ANY BREACH OF ANY REPRESENTATION, WARRANTY, COVENANT OR OBLIGATION ARISING HEREUNDER (II) THE SYSTEM, (III) THE SERVICES (INCLUDING Third-Party Products and Services), (IV) THE ACTIVE OR PASSIVE SOLE, JOINT OR SEVERAL NEGLIGENCE OF ANY KIND OR DEGREE OF YOU OR ANY SIMPLISAFE PARTY (AS DEFINED IN SECTION 5), (V) THE IMPROPER OPERATION OR NON-OPERATION OF THE SYSTEM, (VI) BREACH OF CONTRACT, EXPRESS OR IMPLIED, WHICH OCCURS BEFORE OR AFTER THE SIGNING OF THIS AGREEMENT (VII) BREACH OF WARRANTY, EXPRESS OR IMPLIED, (VIII) PRODUCT OR STRICT LIABILITY (IX) THE LOSS OR DAMAGE TO OR MALFUNCTION OF FACILITIES NECESSARY TO OPERATE THE SYSTEM, TRANSMIT ANY SIGNAL TO OR RECEIVE SIGNALS AT ANY MONITORING FACILITY, (X) A CLAIM FOR SUBROGATION, INDEMNIFICATION OR CONTRIBUTION, (XI) A VIOLATION OF ANY APPLICABLE CONSUMER PROTECTION LAW OR ANY OTHER THEORY OF LIABILITY OR ALLEGED FAULT ON THE PART OF ANY SIMPLISAFE PARTY, (XII) A VIOLATION OF ANY LAW PROHIBITING THE INTERCEPTION OF ORAL COMMUNICATIONS BY ELECTRONIC MEANS, (XIII) THE ACTIONS OF ANY THIRD PARTY IN RESPONDING TO A SIGNAL FROM THE SYSTEM, OR (XIV) ANY UNAUTHORIZED ACCESS, USE OR DISCLOSURE OF YOUR PERSONAL INFORMATION (COLLECTIVELY, THE "COVERED CLAIMS"). RECOVERY FOR ANY LOSSES, AS DEFINED IN THIS SECTION 4, SHALL BE LIMITED TO THE INSURANCE YOU PURCHASE SEPARATELY FROM AN INSURANCE COMPANY, IF ANY. 5. LIMITATIONS OF LIABILITY AND RELEASE. BY AGREEING TO THESE TERMS, YOU ARE RELEASING SIMPLISAFE, ITS AFFILIATES, DIRECTORS, OFFICERS, SHAREHOLDERS, EMPLOYEES, SUBCONTRACTORS, AGENTS AND REPRESENTATIVES (COLLECTIVELY, THE "SIMPLISAFE PARTIES"), TOGETHER WITH ANY PROVIDERS OF Third-Party Products and Services (AS HEREINAFTER DEFINED), ON YOUR BEHALF AND ON BEHALF OF ALL OTHERS WHO MAKE CLAIMS UNDER THIS AGREEMENT FROM ALL LIABILITY ARISING OUT OF OR IN CONNECTION WITH, DUE TO, OR CAUSED IN WHOLE OR IN PART BY ANY COVERED CLAIM, AS DEFINED IN SECTION 4. UNDER NO CIRCUMSTANCES WILL SIMPLISAFE BE RESPONSIBLE OR LIABLE TO YOU FOR CONSEQUENTIAL OR INCIDENTAL DAMAGES INCLUDING WITHOUT LIMITATION, DAMAGES FOR PERSONAL INJURY, DEATH OR DAMAGES TO PROPERTY. NOTWITHSTANDING THE FOREGOING, EVEN IF ANY SIMPLISAFE PARTY IS FOUND LIABLE FOR ANY LOSSES, AS DEFINED IN SECTION 4, ARISING OUT OF OR IN CONNECTION WITH, DUE TO, OR CAUSED IN WHOLE OR IN PART BY ANY COVERED CLAIM, AS DEFINED IN SECTION 4, ANY SUCH LIABILITY SHALL BE LIMITED TO THE MAXIMUM SUM OF $1,000.00. THIS LIMITATION IS CUMULATIVE AND WILL NOT BE INCREASED BY THE EXISTENCE OF MORE THAN ONE INCIDENT OR CLAIM. SIMPLISAFE DISCLAIMS ALL LIABILITY OF ANY KIND OF SIMPLISAFE’S LICENSORS AND SUPPLIERS. SIMPLISAFE AND YOU ACKNOWLEDGE AND AGREE IT IS IMPRACTICAL AND EXTREMELY DIFFICULT TO DETERMINE THE ACTUAL DAMAGES, IF ANY, THAT MAY RESULT FROM A FAILURE BY SIMPLISAFE TO PERFORM ANY OF ITS OBLIGATIONS. THIS AGREED-UPON AMOUNT IS NOT A PENALTY, AND IS THE SOLE REMEDY. SOME STATES DO NOT ALLOW THE EXCLUSION OR LIMITATION OF INCIDENTAL OR CONSEQUENTIAL DAMAGES, SO THE ABOVE LIMITATION OR EXCLUSION MAY NOT APPLY TO YOU. 6. NO WARRANTIES. THE SERVICES ARE PROVIDED FOR YOUR CONVENIENCE, “AS IS” AND “AS AVAILABLE”, AND SIMPLISAFE AND ITS LICENSORS AND SUPPLIERS EXPRESSLY DISCLAIM ANY WARRANTIES AND CONDITIONS OF ANY KIND, WHETHER EXPRESS OR IMPLIED, INCLUDING THE WARRANTIES OR CONDITIONS OF MERCHANTABILITY, FITNESS FOR A PARTICULAR PURPOSE, ACCURACY AND NON-INFRINGEMENT. 7. Release of Insured Losses; Waiver of Subrogation. You release SimpliSafe for all Losses covered by your insurance policies and for all insurance deductibles. You also waive and release any subrogation and other rights you or your insurance company may have against SimpliSafe for money paid to you or on your behalf. 8. INDEMNIFICATION. IF ANYONE OTHER THAN YOU (INCLUDING YOUR INSURANCE COMPANY) ASKS ANY SIMPLISAFE PARTY TO PAY FOR ANY LOSSES, AS DEFINED IN SECTION 4, INCLUDING ATTORNEYS' FEES, ARISING OUT OF OR IN CONNECTION WITH, DUE TO, OR CAUSED IN WHOLE OR IN PART BY ANY COVERED CLAIM, AS DEFINED IN SECTION 4, INCLUDING THE ACTIVE OR PASSIVE SOLE, JOINT OR SEVERAL NEGLIGENCE OF ANY KIND OR DEGREE OF YOU OR ANY SIMPLISAFE PARTY, YOU SHALL INDEMNIFY, DEFEND AND HOLD SUCH SIMPLISAFE PARTY HARMLESS (WITHOUT ANY CONDITION THAT ANY OF THEM FIRST PAY), FOR ALL LOSSES, AS DEFINED IN SECTION 4, INCLUDING ATTORNEYS' FEES, ASSERTED AGAINST OR INCURRED BY SUCH SIMPLISAFE PARTY. THE FOREGOING INDEMNIFICATION OBLIGATIONS MAY NOT BE ENFORCEABLE IN SOME STATES, SO SUCH OBLIGATIONS MAY NOT APPLY TO YOU. 9. Communications Equipment and Services. The System is designed to transmit signals to a monitoring facility through certain communications equipment and services, including DSL, broadband, cellular, wireless and/or landline telephone equipment and services (collectively, the "Communications Equipment and Services"). Regardless of the form of Communications Equipment and Services used, you understand that the Communications Equipment and Services may be interrupted, circumvented, unavailable (for a limited or extended time period) or otherwise compromised, including as a result of equipment designed or used by a third party for the purpose of causing false alarms or gaining unauthorized access to or otherwise affecting or controlling the Communications Equipment and Services or any Video-Related Services. If the Communications Equipment and Services are inoperative or interrupted by any cause, there will be no indication of such at the monitoring facility and the monitoring facility will not receive a signal from your system. You must test the System's data transmission with the monitoring facility at least monthly and immediately after the installation, modification or repair of any Communications Equipment or Service. (If DSL, VOIP or other form of broadband telephone equipment and services are used, such equipment and services should be installed on a telephone line and number that is not used by the System to transmit data to the monitoring facility). If you are using the optional telephone backup for the System, you will need some other means of communications to make a phone call if and when the System transmits data by telephone. You must confirm that the Communications Equipment and Services are compatible with the System, including when you make any changes to the Communications Equipment and Services. Your access to, and availability of the Application is dependent on (i) your computer, mobile device, home wiring, home Wi-Fi network, Bluetooth connection, and other related equipment, (ii) your Internet service provider, and (iii) your mobile device carrier. You shall immediately repair (or caused to be repaired) any (i) problems with the Communications Equipment and Services; or (ii) problems with the System. Consult the Owner's Manual for your System for further important safety information for your System and the transmission of signals from your System. YOU EXPRESSLY UNDERSTAND AND AGREE THAT YOU HAVE NO CONTRACTUAL RELATIONSHIP WHATSOEVER WITH THE UNDERLYING WIRELESS SERVICE PROVIDER (THE “UNDERLYING CARRIER”) OR ITS AFFILIATES OR CONTRACTORS AND THAT YOU ARE NOT A THIRD PARTY BENEFICIARY OF ANY AGREEMENT BETWEEN SIMPLISAFE AND THE UNDERLYING CARRIER. IN ADDITION, YOU ACKNOWLEDGE AND AGREE THAT THE UNDERLYING CARRIER AND ITS AFFILIATES AND CONTRACTORS SHALL HAVE NO LEGAL, EQUITABLE, OR OTHER LIABILITY OF ANY KIND TO YOU AND YOU HEREBY WAIVE ANY AND ALL CLAIMS OR DEMANDS THEREFOR. 10. Additional Equipment or Services. You have selected the System based on your personal considerations (i.e., cost, the condition of the Premises, insurance requirements, etc.). Additional equipment or services, at additional cost, may provide increased detection. You agree that any additional equipment or services provided by SimpliSafe shall be subject to this Agreement. For example, you may request that, upon the receipt of signals from your System, the monitoring facility notify you of such activity (via live operator telephone call, text message or other form of electronic communication) in addition to or in lieu of providing the Emergency Dispatch Services described in Section 23 hereof. We will honor any such request provided that we have previously agreed in writing to do so. You also agree to pay SimpliSafe for such additional equipment or services. Your municipality may require a license or permit or the payment of taxes in connection with the installation, use or monitoring of the System. You are solely responsible for complying with such obligations and providing SimpliSafe with any then current license or permit number. You understand that SimpliSafe does not provide any installation or repair services for the System. You shall provide and maintain adequate power for all equipment relating to the System. 11. False Alarms; Suspension of Service and Shut-Down. You agree to prevent false alarms and be solely liable for false alarms. You must pay (or reimburse SimpliSafe) any fines, fees, costs, expenses and penalties relating to the System or Services assessed against you, SimpliSafe or the monitoring facility by any person or entity, including any court or governmental agency or any person or entity acting on the behalf of such court or agency. If (i) you default under this Agreement, (ii) this Agreement or the Services are terminated by either party for any reason, (iii) the System becomes a "runaway" system or excessively signals the monitoring facility without apparent reason, or (iv) in the opinion of monitoring facility personnel, the System otherwise becomes a “problem account,” we may suspend the Services and you authorize SimpliSafe to disconnect the System from the monitoring facility. The exercise of any such rights shall not be deemed a waiver of Company's right to damages. 12. Increase in Charges. SimpliSafe may increase periodic recurring charges at any time under this Agreement by sending the notice to you by email to the email address on file with SimpliSafe for your current online account. 13. Default. If you default under this Agreement you shall pay SimpliSafe for all Losses in enforcing its rights under this Agreement. 14. Binding Agreement. This Agreement shall become binding on SimpliSafe only after the commencement of any Services. This Agreement is binding on the parties' heirs, executors, administrators, successors and permitted assigns. 15. Applicable Law. This Agreement shall be governed by and construed according to the laws of Massachusetts without reference to its conflicts of law rules. The interpretation of this Agreement shall not be construed against the drafter. 16. Assignment. You may not assign this Agreement. SimpliSafe may assign all or any portion of this Agreement. 17. Finance and Late Charges. Invoices are due upon receipt. You agree to pay a finance charge of the lesser of (i) one and one-half (1-1/2%) percent per month (eighteen percent (18%) per year) or (ii) the maximum rate permitted under applicable law, for all charges not paid within thirty (30) days of the invoice date. In addition, you shall pay an administrative fee (late charge) of 5% of any invoice not paid (as agreed upon damages and not a penalty) within thirty (30) days of the invoice date, provided the imposition of such fee (together with the finance charge listed above) is permitted and not deemed to exceed the maximum charge permitted under applicable law. 18. No Waiver of Breach. Waiver of your breach of this Agreement shall not be a waiver of any subsequent breach. SimpliSafe's rights under this Agreement shall be cumulative, may be exercised concurrently or consecutively and shall include all remedies available even if not referred to in this Agreement. 20. Account Management Services. "Account Management Services" means services relating to the remote management of the System through the Application or otherwise. 21. Video-Related Services. "Video-Related Services" consists solely of the following: (i) verification of alarm events by monitoring facility personnel in connection with the Emergency Dispatch Services to be provided pursuant to Section 23 ("Verification Services") using audio and video received from the System, (ii) real-time access to video and audio from the System through the Application ("Real-Time Services") and (iii) storage and retrieval through the Application of recorded video and audio stored on our servers, which storage shall be limited and subject to change (a) in accordance with the terms of the plan you selected or (b) if you did not select a plan that provides for terms regarding storage, at our discretion ("Recorded Services"). Verification Services are intended to assist you and any permitted monitoring facility personnel to verify an alarm event at the Premises, not to reduce or eliminate any risk of loss. None of the Video-Related Services are intended to replace alarm monitoring services or to detect or prevent unauthorized intrusion onto the Premises or any other emergency condition, including fire, smoke, carbon monoxide, medical emergencies or water damage. The Verification Services are provided and shall be used by you solely for the verification of alarm events at the Premises and no other purpose. Monitoring facility personnel will not have access to the Real-Time Services or Recorded Services unless (1) you have granted monitoring facility personnel such access through the Application and (2) such video and audio is received at the monitoring facility in connection with the Emergency Dispatch Services. 22. Lawful Recording of Video and Audio; Required Connectivity. Recording video or audio may be unlawful or violate an individual's rights, including privacy rights. You shall not use any of the Video-Related Services, or permit the use of any of the Video-Related Services, for any unlawful purpose. For example, you shall not use the System to obtain or record video in any place where a person may have a reasonable expectation of privacy, including restrooms, dressing or changing areas, locker rooms or similar areas. You also shall take all steps necessary to alert individuals at the Premises of the possibility of recording video or audio. You shall use a form of connectivity to permit the transmission of video, audio and Listed Codes (as defined below) from your System to us and any permitted monitoring facility. You shall instruct all persons who may use any Video-Related Services or the System of any limitations with respect to the Video-Related Services or the System. You shall comply with the provisions of Section 19 with respect to the use of the Video-Related Services and the System. 23. Emergency Dispatch Service. "Emergency Dispatch Services" shall be provided in accordance with this Agreement and consist solely of monitoring facility personnel telephoning the governmental authorities ("Authorities") or other persons provided by you ("Responsible Parties") or any company that provides on-site response services (“Third Party Responders”) upon the receipt of signals from your System reporting specific conditions ("Listed Codes") at the Premises. We shall provide Emergency Dispatch Services only for Listed Codes. Our obligation to provide Emergency Dispatch Services shall be satisfied by monitoring facility personnel contacting (or attempting to contact) the Authorities or Responsible Parties or Third Party Responders or by leaving a voicemail or similar type message with the Authorities or Responsible Parties or Third Party Responders. Emergency Dispatch Services are intended to reduce the risk of a burglary, robbery or other events occurring at the Premises but are not a guarantee such events will not occur or that there will be no personal injury or property loss as a result. The monitoring facility will not contact (nor attempt to contact) any Third Party Responder on your behalf unless you have specifically contracted with us to provide such service, or you have specifically requested that we provide such service (and we have agreed in writing to do so). Examples of where you might desire that the monitoring facility attempt to contact a Third Party Responder include situations (i) where the Premises are located in a jurisdiction in which the applicable Authorities will not respond to alarm signals at the Premises absent prior verification of an actual alarm event, or (ii) where you desire a faster response time than what might otherwise be provided by the applicable Authorities. Regardless of the circumstances, however, you acknowledge that, upon receipt of signals from your System, the monitoring facility will not contact (nor attempt to contact), nor have any obligation to contact, any Third Party Responder unless you have previously contracted with us to provide such service or you have previously requested that we provide such service (and we have agreed in writing to do so). 24. Consent to Communicate. The Emergency Dispatch Services require that we communicate with the Responsible Parties. Our communication may take different forms, including a live operator telephone call, a pre-recorded telephone message using an auto-dialer, an SMS or other form of text message or some other form of electronic communications. We will communicate with a Responsible Party at the telephone number you provide us, including any mobile phone number or residential landline number. You will (i) inform the Responsible Parties that we will communicate with them at such numbers; and (ii) obtain permission from the Responsible Parties that we may communicate with them at these telephone numbers. You will indemnify, defend and hold us harmless (without any condition that we first pay) for any Losses (as defined in Section 4 of this Agreement), including our reasonable attorneys’ fees, arising out of or in connection with, due to or caused in whole or in part by, any claims asserted against us in connection with or as a result of our communications with any of the Responsible Parties, including any claim under any state or federal consumer protection or similar law, including the Telephone Consumer Protection Act. 25. Alarm Verification Prior to Dispatch. Upon receipt of a Listed Code and before calling any Authorities or Responsible Parties or any Third Party Responder, monitoring facility personnel may, in their sole discretion, take any one or more of the following steps in an attempt to verify the need to report the Listed Code to the Authorities or any of the Responsible Parties or any Third Party Responder, (collectively, the "Alarm Verification Steps"): (i) telephone or attempt to telephone the Premises, (ii) if we have access to Real-Time Services or Recorded Services, receive, retrieve and review video from the System, (iii) intercept or retrieve and listen to oral communications or other audio from the System; or (iv) undertake such other reasonable steps to verify the need to report the Listed Code. Following any one or more of the Alarm Verification Steps, monitoring facility personnel may, in their sole discretion, determine to report (or not report) a Listed Code to the Authorities or any of the Responsible Parties or any Third Party Responder. In addition, if monitoring facility personnel are unable to verify the need to report a Listed Code to the Authorities or any of the Responsible Parties or any Third Party Responder, monitoring facility personnel shall have no obligation to report such Listed Code. Monitoring facility personnel shall have no obligation to review or monitor any audio or video from the System for any time that is not immediately before or after receipt of a Listed Code. 26. Alarm Cancellation. Upon receipt of any current cancellation code set in accordance with the Owner's Manual for the System or oral advice (confirmed by safe word) to disregard the receipt of a Listed Code, monitoring facility personnel may, in their sole discretion, determine not to report a Listed Code to the Authorities or any of the Responsible Parties or any Third Party Responder. 27. Data; Data Storage. Your Account provides you with access to certain data stored by us. You agree that we may delete any data delivered to us when (i) any storage period that applies to your account expires, (ii) this Agreement is terminated or expires or (iii) you deliver a written request pursuant to Section 40 and such deletion is not prohibited by any applicable law, regulation, regulatory authority or other applicable judicial or governmental order. Notwithstanding anything contained herein to the contrary, SimpliSafe is not responsible for any change to or loss of any data. 28. App Stores. You acknowledge and agree that the availability of the Application is dependent on the third party websites from which you download the Application, e.g. the App Store from Apple or the Android app market from Google (each, an “App Store”). 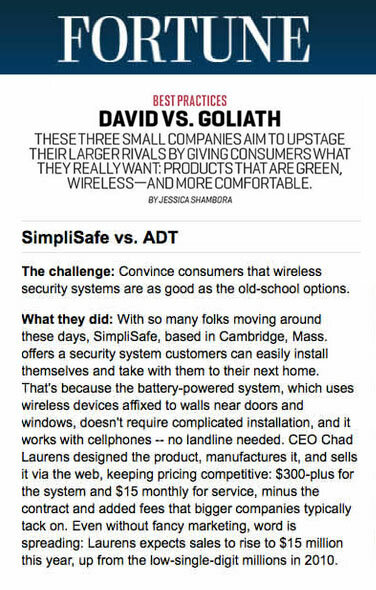 You acknowledge that this Agreement is between you and SimpliSafe and not with an App Store. Each App Store may have its own terms and conditions to which you must agree before downloading mobile applications from it. You agree to comply with, and your license to use the Application is conditioned upon your compliance with, such App Store terms and conditions. To the extent such other terms and conditions from such App Store are less restrictive than, or otherwise conflict with, the terms and conditions of this Agreement, the more restrictive or conflicting terms and conditions in this Agreement apply. SimpliSafe will not charge you any additional fees for you to receive and download the Application; however, your wireless service provider may charge a fee for air-time or data usage associated therewith. Check with your wireless carrier if you have questions about your wireless plan. 30. End User License and Intellectual Property. Subject to the terms and conditions of this Agreement, SimpliSafe grants you a non-exclusive, non-transferable license to access and use the Services by (i) use the Application in connection with, and solely for the purpose of, controlling and monitoring the Services you are authorized to receive and/or control or monitor, and (ii) install and use the Application solely on your own handheld mobile device (e.g., iPhone, iPad, or Android smartphone or other tablet device) and solely for the purposes set forth in this Agreement. There is a risk that unauthorized persons may gain access to the Application and data thereon and you agree to assume such risk. You consent to our posting alarm event and other status reports in connection with the Service on the Application. You will keep confidential all information available on the Application and all passwords relating to the Application or access thereto. This license will continue and be co-extensive with the term of this Agreement except for your (i) failure to keep confidential all information available on the Application and all passwords or access codes relating to the Application or access thereto, (ii) use of the license or the information in any manner that negatively affects us, (iii) use of the license or the information for any illegal purpose, (iv) breach of this Agreement or (v) violation of any applicable law. You will be solely responsible for information you deliver, delete or modify. Upon termination of this Agreement or termination or suspension of the license by us, we may immediately, and without notice, disable your access to the Application and cancel all passwords or other access codes. You will not (a) disclose or make available to third parties any portion of the technology associated with the Services or the Application without our prior written consent, (b) copy, decompile, dissemble, reverse engineer, manipulate, modify, or make derivative works of any technology incorporated in the Services or the Application. SimpliSafe may from time to time develop patches, updates, upgrades or other modifications (“Updates”) to improve the performance of the Services or the Application. These may be automatically installed without providing any additional notice or receiving any additional consent. You consent to this automatic update. If you do not want such Updates, your remedy is to terminate your Account and stop using the Services or the Application. You acknowledge that you may be required to install Updates to use the Services and you agree to promptly install any Updates that SimpliSafe provides. IF YOU FAIL TO INSTALL ANY UPDATES PROVIDED BY SIMPLISAFE, YOUR ACCESS TO THE APPLICATION AND THE SERVICES MAY BE TERMINATED. 31. Suspension of Service. SimpliSafe's obligations under this Agreement are waived automatically without notice and you release SimpliSafe for all Losses following any default or breach of this Agreement by you or if the monitoring facility, or Communications Equipment and Services are destroyed, damaged, inoperable or malfunction for any reason whatsoever, for the duration of such interruption of service, and you shall be entitled to a credit of the unearned charges paid for the period of interruption on your request, which credit shall not exceed more than one month's service charge and shall be the limit of SimpliSafe's liability. If this Agreement is terminated or the Services are suspended or terminated for any reason, you shall immediately disconnect the System from all Communications Equipment and Services (e.g., telephone line, radio transmitter, cellular transmitter, etc.). Upon termination of this Agreement or if the Services are suspended or terminated for any reason we may, in our sole discretion, without notice, and without any liability, remotely disable, disconnect or block the System and data from the System from communicating with the monitoring facility. 32. Time Limitation on Actions. All claims, actions or proceedings against SimpliSafe must be commenced in court within one (1) year after the cause of action has accrued, without judicial extension of time, or such claim, action or proceeding is barred. The time period in this Section must be complied with strictly. 33. Integrated Agreement. This Agreement and any document made a part of this Agreement contains the entire agreement between the parties respecting the transactions described in such documents and supersedes all prior or current negotiations, commitments, contracts (express or implied) warranties (express or implied) statements and representations, whether written or oral, pertaining to such transactions, all of which shall be deemed merged into this Agreement. NEITHER PARTY HAS MADE ANY REPRESENTATION, TERM, PROMISE, CONDITION, STATEMENT, WARRANTY, OR INDUCEMENT (COLLECTIVELY, "INDUCEMENT") NOT EXPRESSED IN THIS AGREEMENT RESPECTING THE TRANSACTIONS DESCRIBED IN THIS AGREEMENT AND ANY DOCUMENT MADE A PART OF THIS AGREEMENT AND, IN ENTERING INTO THIS AGREEMENT, NEITHER PARTY IS RELYING ON ANY INDUCEMENT WHICH IS NOT SET FORTH IN THIS AGREEMENT. 34. Valid Agreement. Should any provision of this Agreement (or portion of this Agreement), or its application to any circumstances, be held illegal, invalid or unenforceable to any extent, the validity and enforceability of the remainder of the provision and this Agreement, or of such provisions as applied to any other circumstances, shall not be affected thereby, and shall remain in full force and effect as valid, binding and continuing. 35. Modifications. Additions, amendments, modifications or deletions to these terms shall not become part of the Agreement unless agreed to in writing by the parties; provided that SimpliSafe may add, amend, modify or delete the terms of this Agreement by providing prior written notice of such addition, amendment, modification or deletion on its website at www.simplisafe.com/terms-of-service and/or via a notice delivered pursuant to Section 40 (ii), which amended terms shall be binding upon the parties. 36. Right to Subcontract. Monitoring of the System is provided by a third party independent contractor. Likewise, any Third Party Responder is also an independent contractor. SimpliSafe may, in its sole discretion, subcontract for the provision of any of the Services under this Agreement. The provisions of this Agreement inure to the benefit of and are applicable to (i) any subcontractors engaged to provide any of the Services to you, including any monitoring facility and any Third Party Responder; and (ii) each of the SimpliSafe Parties (and any providers of Third-Party Products and Services, if any and solely as applicable), and bind you to all such persons or entities listed in the foregoing subsection (i) or (ii) with the same force and effect as they bind you to SimpliSafe. Any subcontractor we engage is an independent contractor and not our partner or joint venturer. You authorize us to act as your agent for purposes of working with, or providing any directions to, any subcontractors with respect to the provision of the Services. You authorize us to share your personal information with our subcontractors or Third Parties for the purpose of providing Services under this Agreement. 37. Section Headings; Interpretation. The section titles used herein are for convenience of the parties only and shall not be considered in construing the provisions of this Agreement. When used in this Agreement, (i) the word "including" shall mean "including, but not limited to;" and (ii) the term "sole discretion" shall mean "sole and absolute discretion without any liability." 38. Right to Notice and Cure. If SimpliSafe breaches this Agreement, you shall provide SimpliSafe written notice specifically identifying the nature of the breach and the provisions of this Agreement affected as a result of such breach. SimpliSafe may cure the breach within five (5) business days following SimpliSafe's receipt of the written notice or, if the breach cannot be reasonably cured within such period, may promptly commence to cure and diligently proceed until cured. If SimpliSafe cures any such breach, this Agreement shall continue unabated and SimpliSafe shall not be liable to you for any Losses arising out of or in connection with, due to or caused in whole or in part by any such breach. 39. Dispute Resolution and Arbitration. PLEASE READ THIS SECTION CAREFULLY. FOLLOW THE INSTRUCTIONS BELOW IF YOU WISH TO OPT OUT OF THE REQUIREMENT OF ARBITRATION ON AN INDIVIDUAL BASIS. Certain portions of this Section 39 are deemed to be a “written agreement to arbitrate” pursuant to the Federal Arbitration Act. You and SimpliSafe agree that SimpliSafe intends that this Section 39 satisfies the “writing” requirement of the Federal Arbitration Act. a. In the event of any dispute or disagreement between the parties, or claim or question by a party, arising from or relating to this Agreement or the breach hereof (collectively, a “Dispute”), the parties hereto shall use their best efforts to settle the Dispute. To this effect, the parties shall consult and negotiate with each other in good faith and, recognizing their mutual interests, attempt to reach a just and equitable solution satisfactory to both parties. If the parties do not reach such solution within a period of 60 days then, upon notice by either party to the other, such Dispute shall be finally settled by arbitration administered by the American Arbitration Association in accordance with the provisions of its Consumer Arbitration Rules. Once the Dispute is submitted to the AAA for arbitration and each party pays the appropriate filing fees, the parties agree to equally share all costs of AAA arbitration, including Arbitrator fees and expenses. The parties will remain individually responsible for their own attorney costs or other non-AAA required costs. If an in-person arbitration hearing is required, then it will be conducted at the American Arbitration Association’s office in Boston, Massachusetts. b. The arbitration will be heard and determined by a single neutral arbitrator selected by the AAA who is a retired judge or a lawyer with not less than 15 years of experience as a practicing member of the bar in the substantive practice area related to the Dispute, who will administer the proceedings in accordance with the AAA’s Consumer Arbitration Rules. The arbitrator will apply applicable law and the provisions of this Agreement and will determine any Dispute according to the applicable law and facts based upon the record and no other basis. The arbitrator’s decision must consist of a written statement stating the disposition of each claim of the Dispute, and must provide a statement of the essential findings and conclusions on which the decision and any award (if any) is based. Judgment on the award rendered by the arbitrator may be entered in any court having jurisdiction thereof. In arbitration, as with a court, the arbitrator must honor the terms of this Agreement and can award the prevailing party damages and other relief (including attorneys’ fees). However, WITH ARBITRATION (A) THERE IS NO JUDGE OR JURY, (B) THE ARBITRATION PROCEEDINGS AND ARBITRATION OUTCOME ARE SUBJECT TO CERTAIN CONFIDENTIALITY RULES, AND (C) JUDICIAL REVIEW OF THE ARBITRATION OUTCOME IS LIMITED. The parties agree that the arbitration shall be confidential. All parties to the arbitration will have the right, at their own expense, to be represented by an attorney or other advocate of their choosing. c. TO THE FULLEST EXTENT PERMITTED BY APPLICABLE LAW, IF YOU OR WE WANT TO ASSERT A DISPUTE AGAINST THE OTHER, THEN YOU OR WE MUST COMMENCE IT (BY DELIVERY OF WRITTEN NOTICE AS SET FORTH IN SECTION 40) WITHIN 1 YEAR AFTER THE DISPUTE ARISES -- OR IT WILL BE FOREVER BARRED. d. NOTWITHSTANDING THE FOREGOING, THERE SHALL BE NO RIGHT OR AUTHORITY FOR ANY DISPUTE TO BE ARBITRATED ON A CLASS ACTION BASIS OR ON ANY BASIS INVOLVING ANY DISPUTE BROUGHT IN A PURPORTED REPRESENTATIVE CAPACITY ON BEHALF OF THE GENERAL PUBLIC, OTHER PERSONS OR ENTITIES DOING BUSINESS WITH SIMPLISAFE, OR OTHER PERSONS OR ENTITIES SIMILARLY SITUATED. FURTHERMORE, ANY DISPUTE BROUGHT BY OR AGAINST SIMPLISAFE MAY NOT BE JOINED OR CONSOLIDATED IN THE ARBITRATION WITH CLAIMS BROUGHT BY OR AGAINST ANY OTHER SIMPLISAFE SUBSCRIBER, UNLESS OTHERWISE AGREED BY THE PARTIES. FURTHER, THE PARTIES ACKNOWLEDGE THAT THEY WAIVE ANY RIGHT TO PARTICIPATE IN A REPRESENTATIVE CAPACITY OR AS A MEMBER OF ANY CLASS OF CLAIMANTS PERTAINING TO ANY DISPUTE SUBJECT TO ARBITRATION. SUBSCRIBER SHALL HAVE THE RIGHT TO OPT OUT OF THIS AGREEMENT TO ARBITRATE BY PROVIDING WRITTEN NOTICE OF ITS INTENTION TO DO SO BY EMAILING TOS@SIMPLISAFE.COM WITHIN 60 DAYS OF THIS AGREEMENT BECOMING BINDING UPON SUBSCRIBER FOR THE FIRST TIME. OPTING OUT OF THIS AGREEMENT TO ARBITRATE HAS NO EFFECT ON ANY PREVIOUS, OTHER, OR FUTURE ARBITRATION AGREEMENT(S) THAT SUBSCRIBER MAY HAVE WITH SIMPLISAFE. IF THIS AGREEMENT TO ARBITRATE BECOMES BINDING, SUBSCRIBER CAN NOT CHANGE, MODIFY OR REVOKE IT (INCLUDING BY ATTEMPTING TO OPT OUT IN CONNECTION WITH ANY CONFIRMATION OF THE THESE TERMS OF SERVICE, AS AMENDED FROM TIME TO TIME) WITHOUT AN AGREEMENT IN WRITING SIGNED BY SIMPLISAFE. IN THE EVENT THAT THE SUBSCRIBER OPTS OUT OF THIS AGREEMENT TO ARBITRATE IN ACCORDANCE WITH THIS SECTION 39: EACH PARTY HEREBY IRREVOCABLY AGREES THAT ANY SUIT, ACTION OR OTHER LEGAL PROCEEDING ("SUIT") ARISING OUT OF OR IN CONNECTION WITH OR DUE TO ANY CLAIM OR DISPUTE THAT HAS ARISEN OR MAY ARISE BETWEEN THE PARTIES MUST BE RESOLVED EXCLUSIVELY BY A STATE OR FEDERAL COURT LOCATED IN BOSTON, MASSACHUSETTS; EACH PARTY CONSENTS TO THE EXCLUSIVE JURISDICTION AND VENUE OF EACH SUCH COURT IN ANY SUCH SUIT AND WAIVES ANY OBJECTION THAT IT MAY HAVE TO JURISDICTION OR VENUE OF ANY SUCH SUIT; EACH PARTY CONSENTS TO SERVICE OF PROCESS IN ACCORDANCE WITH THE NOTICE PROVISIONS OF THIS AGREEMENT; AND EACH PARTY HEREBY WAIVES ANY RIGHT TO TRIAL BY JURY IN ANY SUCH SUIT. 40. Notices. 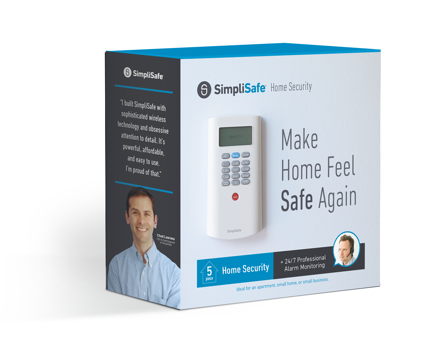 Unless otherwise expressly provided herein, (i) all notices required to be given to SimpliSafe shall be deemed to have been duly given if in writing and mailed by regular mail, postage prepaid, or overnight delivery, by a reputable, national overnight delivery service to SimpliSafe's then current principal place of business and (ii) all notices required to be given to Subscriber shall be deemed to have been duly given if in writing and sent to the e-mail address on file with SimpliSafe for your Account. Subscriber is responsible to provide SimpliSafe with any changes to Subscriber's e-mail address pursuant to the foregoing sentence. 41. Severability. If any provision of this Agreement is found to be invalid, the remaining provisions are still effective. The standard limited warranty set out in SimpliSafe’s	Terms of Sale is incorporated by reference into this extended limited hardware warranty (“Extended Hardware Warranty”). Except as modified by the following Eligibility Requirements and Additional Terms & Conditions, all terms set out in SimpliSafe’s	Terms of Sale that relate to this Extended Hardware Warranty, including without limitation, the Limited Warranty provision, shall remain unmodified and in full force and effect throughout the term of the Extended Hardware Warranty period. Undefined capitalized terms used herein shall have the meanings ascribed to each in SimpliSafe’s	Terms of Sale. have an active SimpliSafe Premium Service Plan in effect as of the end date of the standard limited warranty period (per the warranty set out in SimpliSafe’s Terms of Sale or that is otherwise in effect as of the date of System hardware purchase), and who maintain an active SimpliSafe Premium Service Plan through the date the warranty claim is made under this Extended Hardware Warranty. As of October 2018, the standard limited warranty period for System hardware and products is 3 years from date of purchase. This Extended Hardware Warranty may be transferred by the original customer who purchases qualifying System hardware and products (in connection with sales and transfers permitted under SimpliSafe’s Terms of Sale), provided (1) the dates of coverage shall remain subject to the dates in effect for the original customer (tying to the original hardware purchase date and not the date of transfer) and (2) the eligibility requirement to have an active SimpliSafe Premium Service Plan in effect as of the end date of the standard limited warranty period (as specified above) shall (i) similarly apply and remain applicable to any such transferee, and (ii) be met (and/or remain satisfied) by such transferee as of the date of transfer and thereafter. This Extended Hardware Warranty shall apply to any SimpliSafe product replaced under this Extended Hardware Warranty provided all eligibility requirements are met (and/or remain satisfied) as of the date of such subsequent warranty claim. For the purpose of this Extended Hardware Warranty, a SimpliSafe Premium Service Plan shall be any monitoring service plan other than the standard/base monitoring service plan then in effect for the applicable SimpliSafe products under warranty. For the avoidance of doubt, as of October 2018, the Standard Monitoring Plan shall not be considered a SimpliSafe Premium Service Plan and the Interactive Monitoring Plan shall be considered a SimpliSafe Premium Service Plan. us pay for return shipping. please contact us and we’ll do our best to make it right. to offer this because our components are so reliable. What is an “auto-renewal clause” anyway? Most alarm companies have an automatic renewal clause in their monitoring and service contract (and use teeny tiny font). This means that your contract will be renewed for anywhere from 12 months to three years, unless you cancel by mail within 30 days before the end of your contract. Many of the nationwide and local alarm companies use this tactic. Cancelling early usually involves a penalty of 75% to 100% of the value of the contract. 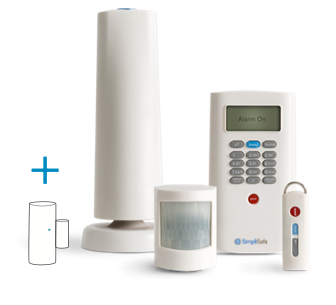 SimpliSafe offers monthly alarm monitoring. 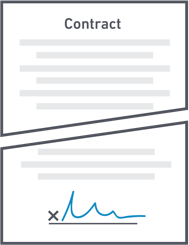 There are no contracts to sign, so there’s no fear of getting tricked by fine print and hidden fees. You can cancel your SimpliSafe alarm monitoring anytime by simply giving us a call. Thanks! Keep an eye on your email for tips, offers and more.